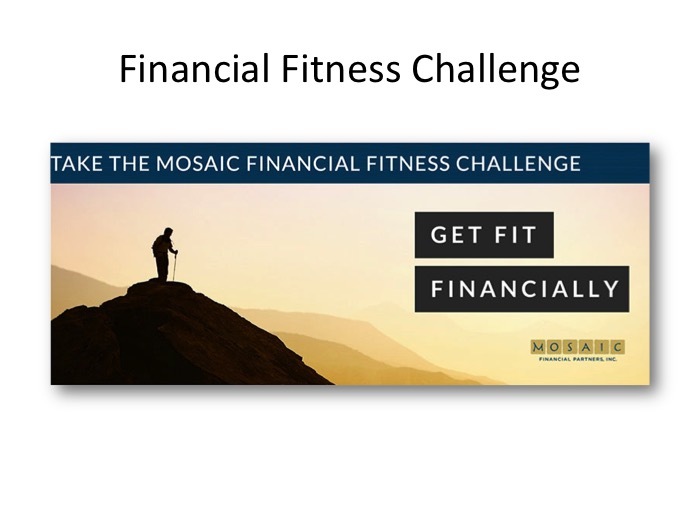 Description: Demand generation campaign for wealth management firm Mosaic Financial Partners targeting young professionals in 20s and 30s. The goal for this project was to create a scalable way to develop brand awareness among a target market that had high potential for becoming clients later but who might not have accumulated enough assets to qualify as of yet. The centerpiece of the campaign was a “financial fitness challenge” which consisted of a series of emails that provided education and prompted subscribers to develop good financial habits. Several different channels were tested for driving traffic to the campaign sign-up page, including guest blog posts, syndicated articles, search ads and social media posts. Deliverables included an email series with worksheets, landing pages, guest blog articles, introduction video. Below are screenshots of the signup page, one of the emails, and a worksheet.